Covers everything from puppet fabrication to manipulation and more. We will be uploading the catalogue very soon If you would like to visit our reference library please call or email to arrange a suitable time. Opening hours are 10am-4pm Monday to Friday. An Interview with Barry Purves at BFP15 from Puppet Place on Vimeo. The Craft of Bunraku Puppetry from Puppet Place on Vimeo. The Craft of Bunraku Puppetry Q & A with Emma Powell – Computer from Puppet Place on Vimeo. 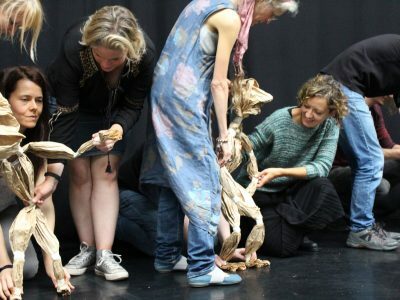 We are gathering a list of art and material suppliers that we know puppeteers, prop-makers and artists will find useful. If you’ve got any top tips, do let us know and we’ll add them to the list. This is a mouldable glue that turns into rubber. The memory foam sheets on this site work very well with latex, and can be ordered in 1⁄2 centimetre sheets. Working with wood, paper, card, leather, felt, acrylic, stone, terracotta, metal and glass.